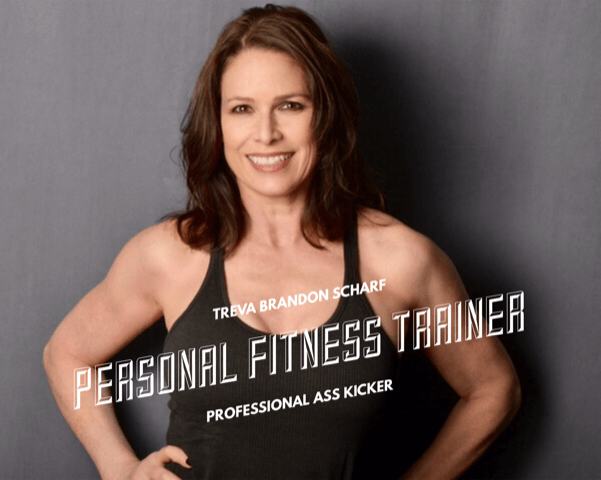 Treva Brandon Scharf is a Los Angeles based AFAA certified fitness professional. With over 35 years in the fitness business, Treva is considered one of L.A.’s best. Her teaching portfolio includes Equinox, Sports Club LA, Barry’s Bootcamp, Train, Crunch, Revolution, Body & Soul Workout, and Gold’s Gym. She now runs her own private in-home training business, which also includes the Griffin Club, the Peninsula Hotel and the Beverly Hills Hotel. Treva’s areas of expertise includes traditional strength training, spinning, core conditioning, yoga, kettle bell, mat Pilates, bootcamp, treadmill, Bosu, as well as sports specific coaching, mindfulness based meditation, and outdoor workouts. Her unique program of dynamic balance, agility and coordination, assisted stretching and sports massage, is designed to build muscle, burn fat, and instill confidence. Whether she’s working with elite athletes or seniors, Treva gets results. Treva is a 5-time marathoner, a ranked CBVA beach volleyball player, and a USTA 4.0 doubles tennis player. She draws from her years as a competitive athlete to help clients and classes achieve peak performance. Treva is a graduate of University of California, Santa Barbara. When she’s not inspiring others through exercise, she volunteers as a Special Olympics coach, and mentors with the Fulfillment Fund. She is an advocate for people of all ages and abilities. Treva’s tough love approach to fitness motivates people to dig deep, face their fears, and find their greatness within.